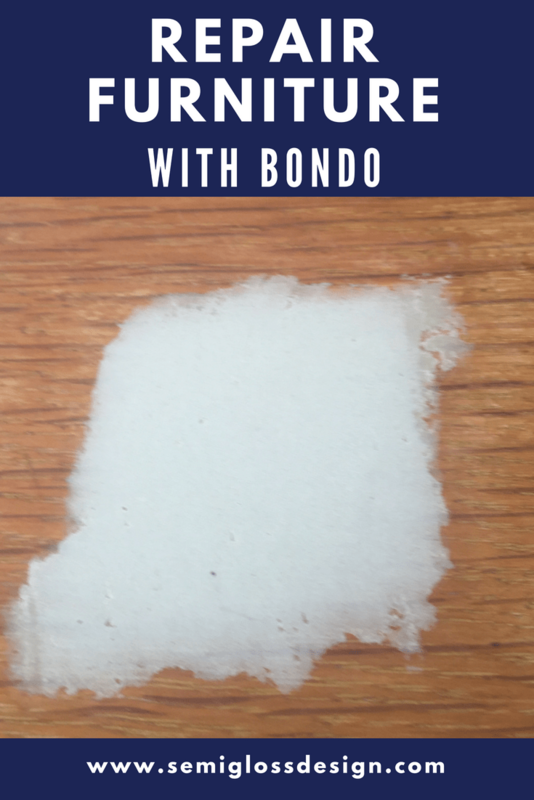 Learn how to use bondo for repairing furniture. 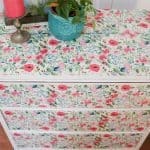 I used this same technique on this floral decoupage dresser and this vintage secretary desk. 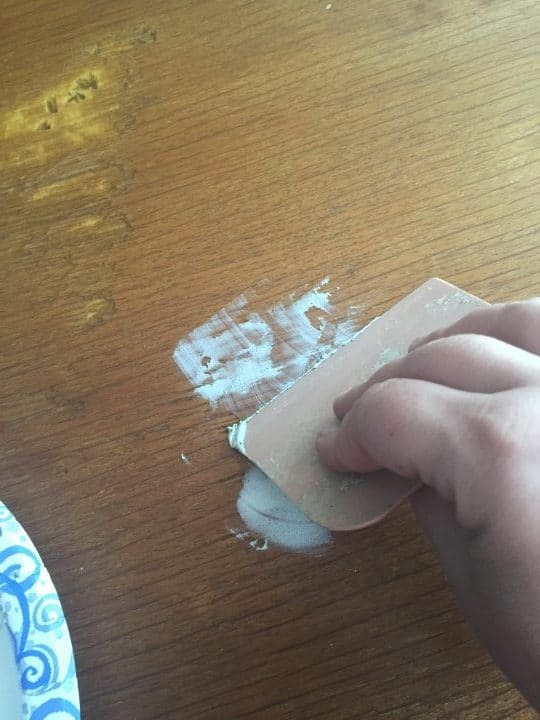 Bondo is my favorite way to repair furniture. 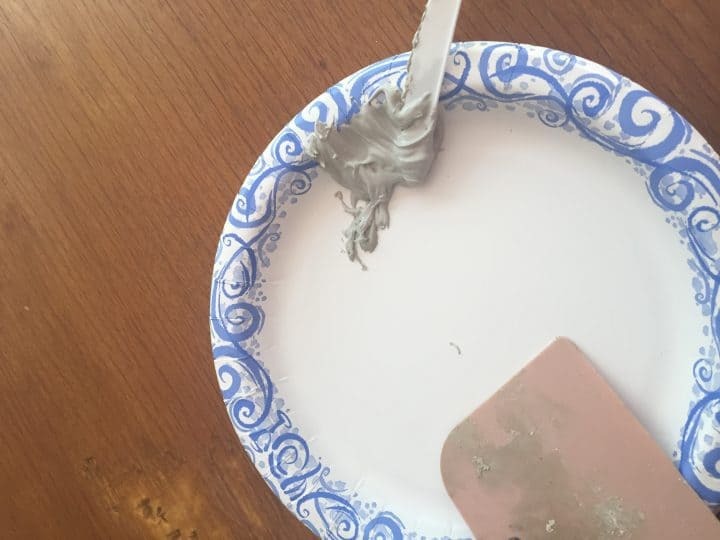 Whether it’s filling knob holes so that I can use a different size, filling gouges for a smoother top or repairing chipped veneer, bondo is the best way to fix all of these problems. I bought a midcentury buffet recently that was lovely, but was well loved. There were many gouges in the top that needed to be repaired. It came with a hutch that had damage to the veneer. Luckily that’s very easy to fix with bondo. 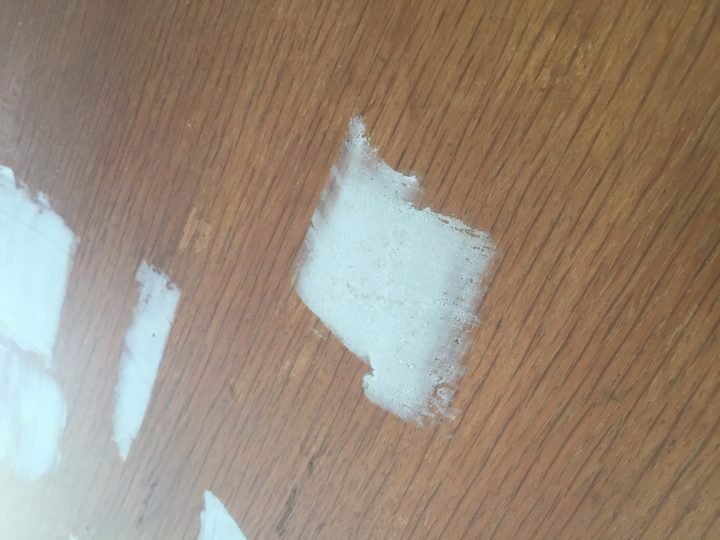 When repairing furniture, please note that bondo has a very strong smell and should not be used inside. Use in a ventilated area and wear a mask if such smells bother you. 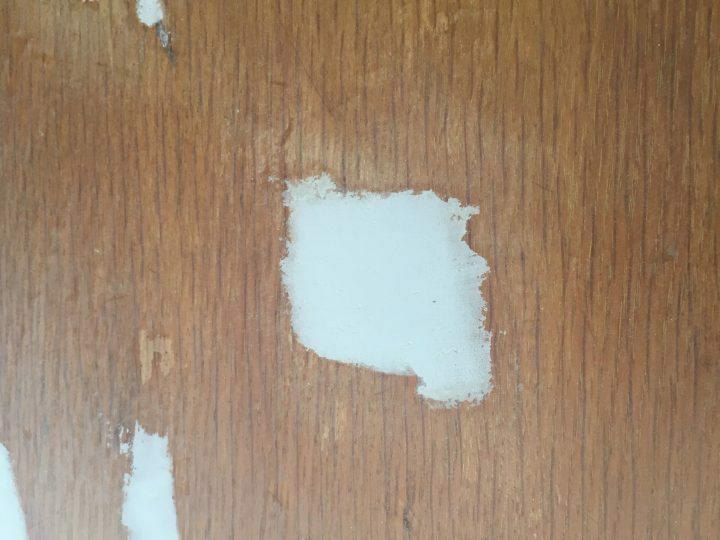 Why use bondo instead of wood filler? 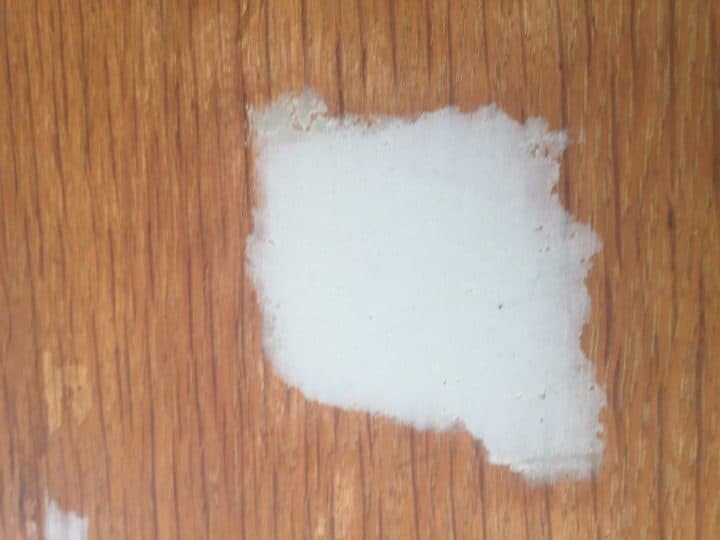 Unlike normal wood filler, bondo leaves a smooth finish without grainy spots. Your repaired furniture will feel silky smooth. Plus, it doesn’t shrink as it dries. There’s nothing worse than filling holes only to realize that they need another coat of wood filler because it shrunk. 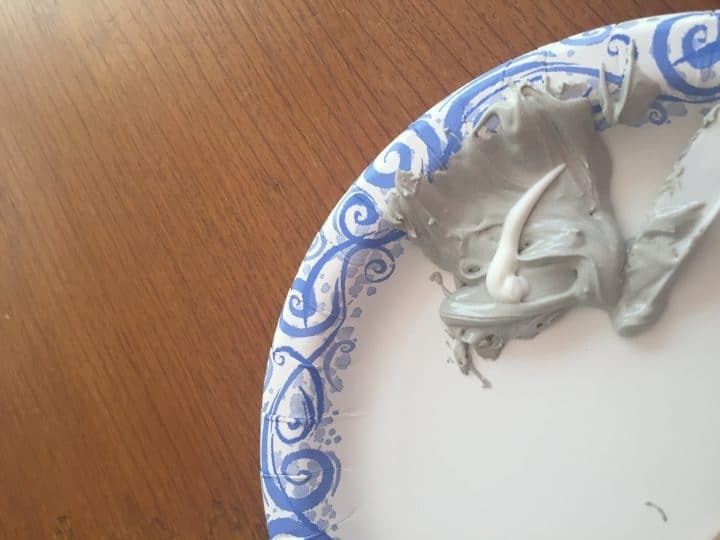 The only downside to bondo is that it cannot be stained. 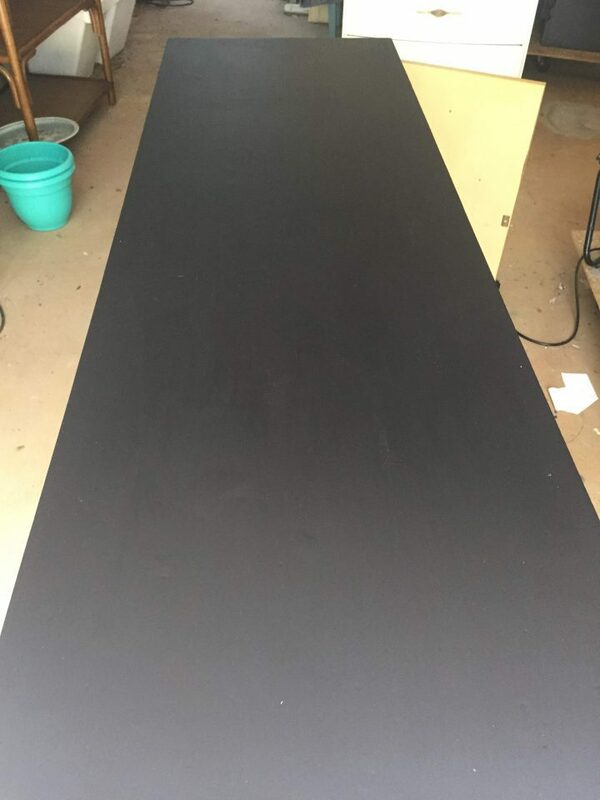 However, if sanded enough, you are left with a smooth surface that is perfectly smooth. Stir it with a disposable spoon. Use the bondo spreader to spread it on the area that needs to be repaired. 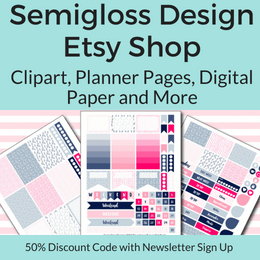 Try to use a thin layer. Start sanding. Start with the heaviest grit (80.) 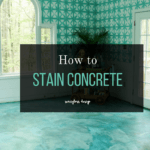 You will knock down the excess with this layer, but don’t remove too much. This is after the 80 grit. 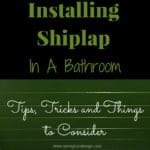 Change your sandpaper to 120 grit. Try to smooth it out as best as you can. Use 220 grit. 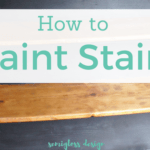 Use your hands to feel spots as you go where it needs more sanding. If it needs it, move to 400 grit. By now your wood should feel silky smooth. Prime the wood. 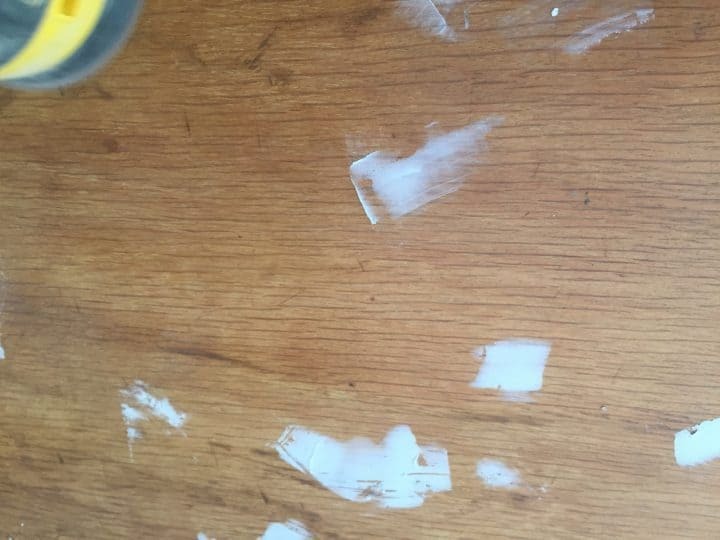 The bondo needs to be primed or it will leave spots where the paint absorbs differently. With such heavy sanding, I also exposed a lot of tannins in the wood, so I primed this piece with my favorite primer. It also seals in the smell of the bondo. Paint as usual. I like dark colors because they hide flaws better. Flatter paint sheens hide the flaws as well. The finish won’t be perfect, but it will be a lot better! Mix tiny batches because they dry fast once you mix in the hardener. 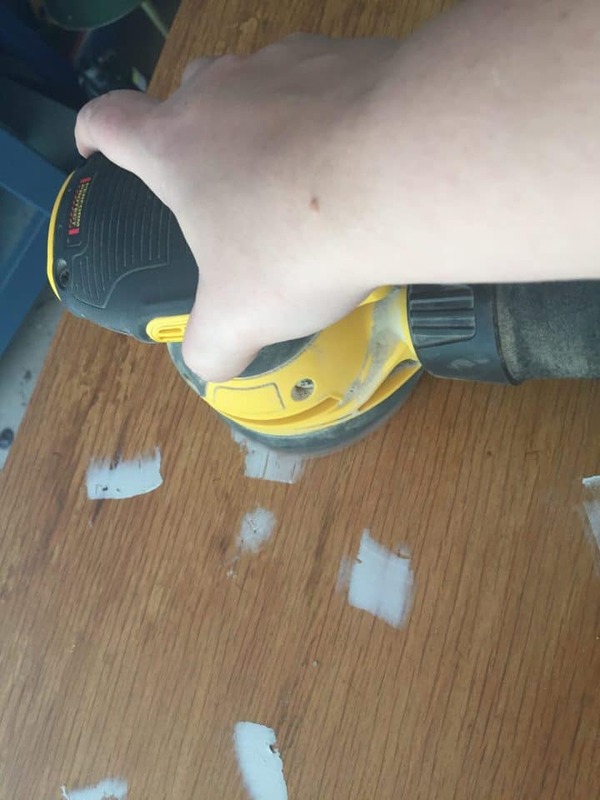 Use your hands to feel where you need to sand more. Close your eyes if you need to. Thinner coats are easier to sand. If you fill drawer holes, don’t forget to fill the insides of the drawers as well. Clean your spreaders as you go. But don’t worry if it dries on there. The spreader is flexible and the bondo will peel off because of the flexibility. If that doesn’t work, use a putty knife to scrape off the hard bits. 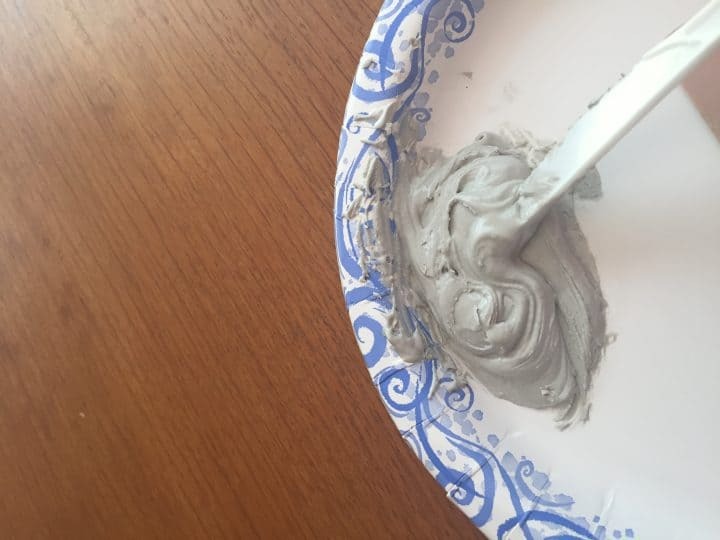 If you get bondo on your hands, wash them with oil to remove the stickiness. Or use a lovely sugar scrub.